If you read this blog, you will know I am slightly obsessed with brand names. And I seem to spend quite a bit of my time at work trying to persuade people not to obsess about their trade mark. As long as the name is legal (check here for the UK) and not owned by someone else in your area of business (search here to check), the only thing that matters is how memorable it is. And you can’t get much more memorable than Ugly. This big and bold name certainly caught my eye as I browsed the drinks available in our restaurant at the British Library yesterday. On visiting the Ugly Drinks website, I was glad to see a FAQ (Frequently Asked Questions) section explaining their unusual name. 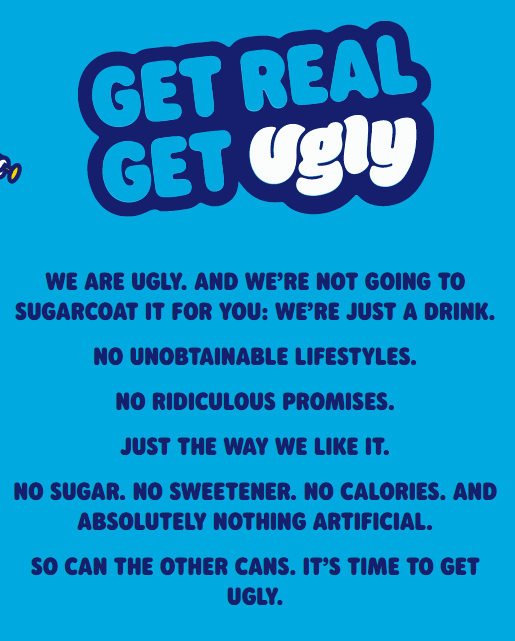 I haven’t yet managed to taste one of their range of drinks, but I’m looking forward to asking for an Ugly Drink. 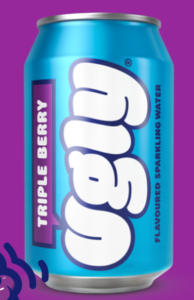 This entry was posted in Advertising, marketing, retail, Trademarks and tagged business names, soft drinks, trade marks on 16 March 2018 by ninfield.